This Coronado tombstone appeared at a VRPS fleamarket and made its way in my collection with little need for attention. The brand was sold by Gamble-Skogmo and the chassis was produced by Warwick Manufacturing. 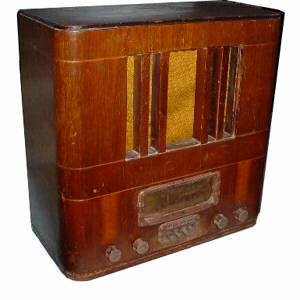 The tombstone radio used eight tubes and only played AM!